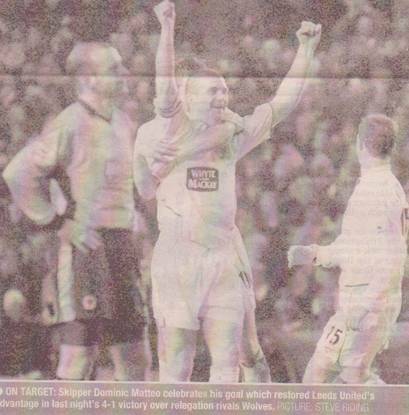 Date: Monday, 10th February 2004. 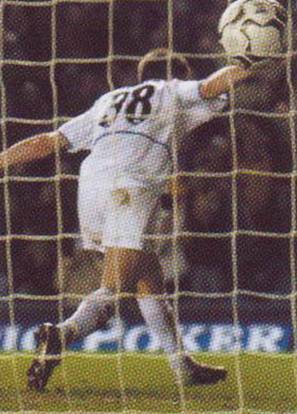 Scorers: Leeds United: Smith, Matteo, Milner, Viduka. 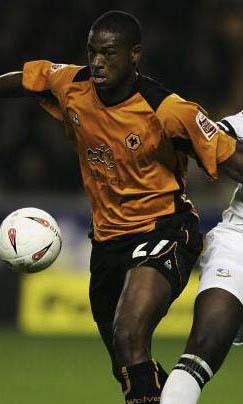 Wolverhampton Wanderers: Ganea. 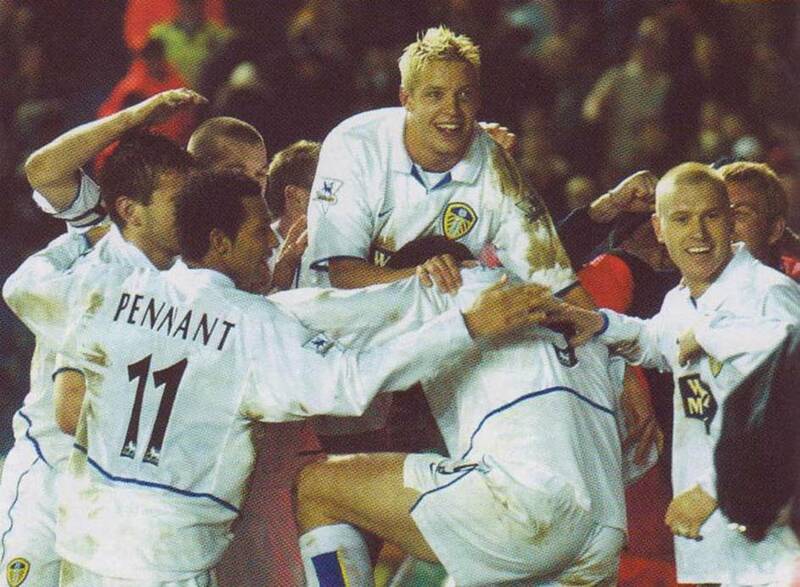 Leeds United: Robinson; Kelly, Caldwell, Matteo, Domi (Harte); Pennant, Bakke, Johnson, Milner; Smith, Viduka. Unused Subs: McPhail, Lennon, Richardson, Carson. 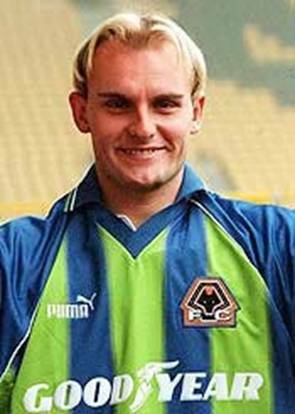 Wolverhampton Wanderers: Jones; Irwin, Butler, Craddock, Naylor; Miller (Silas), Rae, Cameron, Kennedy; Cort (Iversen), Ganea. Unused Subs: Clyde, Gudjonsson, Oakes. Referee: Mr M. Dean (Heswall, Wirral). 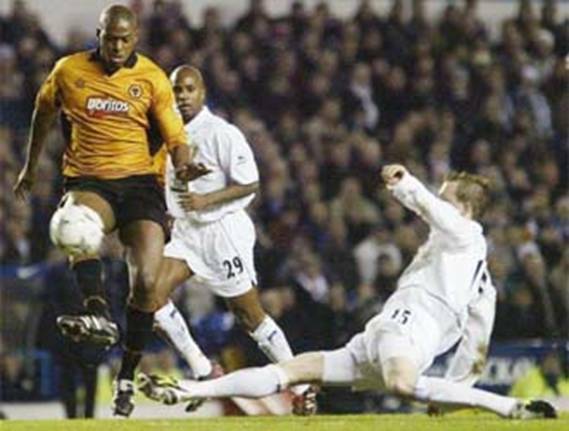 In a season of few highlights there was little for the fans to cheer, but here was one game that brought back memories of what it was like to win convincingly as in days of yore. 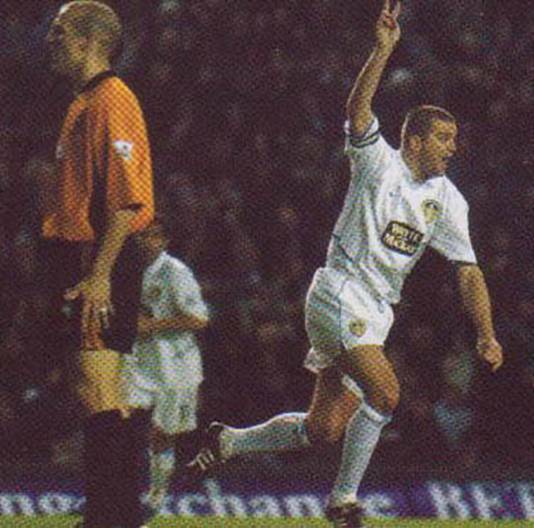 Leeds United threw themselves a lifeline in this night game under the floodlights at Elland Road, after turning in their best performance of the season. 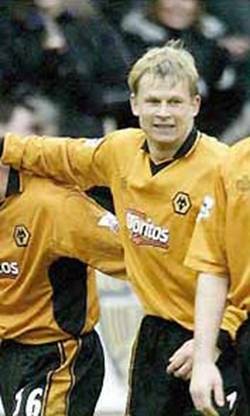 Eddie Gray’s team were simply different class as they swept aside relegation rivals Wolves to clamber off the foot of the table. Such high praise may seem surprising, given that Wolves were only three points above United, but the football on display was just about as good as it gets. 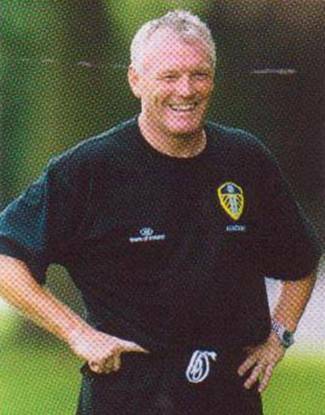 Eddie Gray had privately harboured an ambition that sees his side out-football their opponents and the manager could afford a wry smile after such a clinical display. 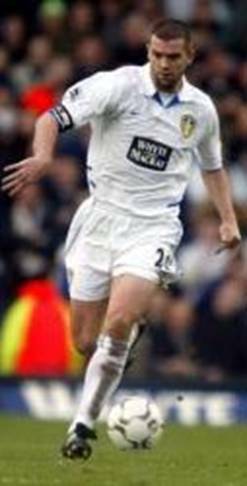 His personal build-up to the game was marred when the PFA took a cheap shot over his handling of the David Batty affair, but it was Eddie Gray who laughed loudest in the end. The Manager stuck with the same players who had performed admirably in defeat at Aston Villa the previous Saturday and was rewarded with a high-class effort that gave United a fighting chance in their bid for EPL survival. 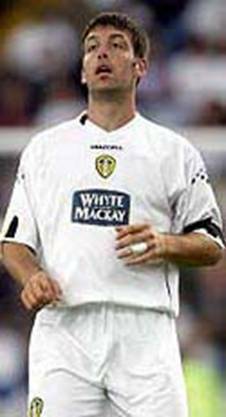 Returning striker Mark Viduka will rightly take plenty of praise for his efforts since return from Australia. He had whipped things up behind the scenes and looked hungrier than ever on the pitch. 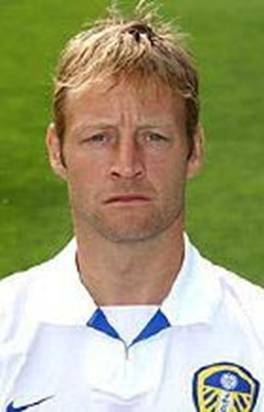 His no-nonsense attitude had rubbed off on his team-mates and the Leeds side that took the field in this game looked a far cry from the one which had laboured through much of the campaign. Gary Kelly had a great game at right-back while Didier Domi impressed on the other side, particularly with his delivery at set-pieces, until injury struck and he was forced off. 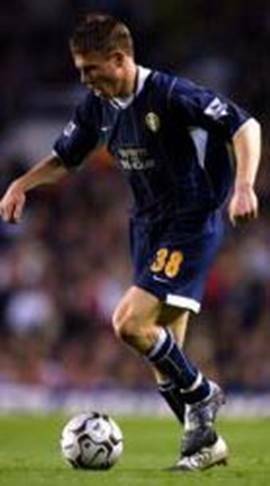 At the heart of the defence Steve Caldwell and Dominic Matteo looked like they had played together for years. Matteo was always so consistent that his performances did not always get the praise they deserved and, in Caldwell, he had found a perfect partner. 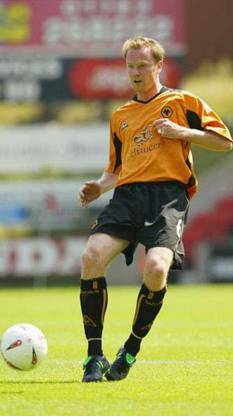 Caldwell was a commanding figure, he made the most of his physical presence and could be a real nuisance when barging his way forward. It was no coincidence that he had a hand in two of the goals. At that stage of the campaign, Caldwell’s battling nature could have proved to have been a major asset. 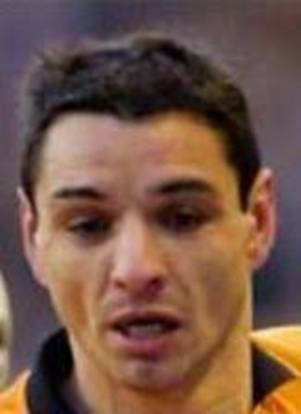 Back in December, when Leeds started their horrendous run of six matches without a win at Wolverhampton, it was in midfield where they lost the game. In this game they were in complete control. Eirik Bakke was all over the park with Seth Johnson, who had been jeered by supporters during the previous home game with Middlesbrough, turned a busy display and he showed great distributional skills to push United forward. The pair provided good support for the front men and looked lively throughout. 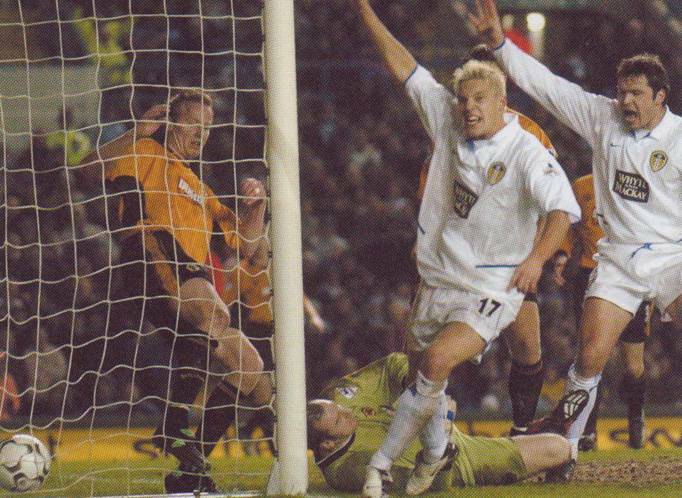 But it was in the final third that Leeds really stood out. 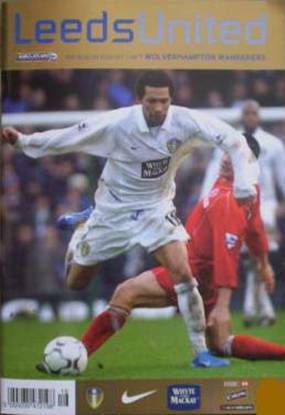 For long periods in that season it had been hard to see where a goal would come from, but the service was spot-on against Wolves and a lot of that was down to Jermaine Pennant and James Milner. Pennant’s trickery hadn’t always been reflected with the final ball, but his crossing in this game proved a major threat and the performance would have given him confidence. 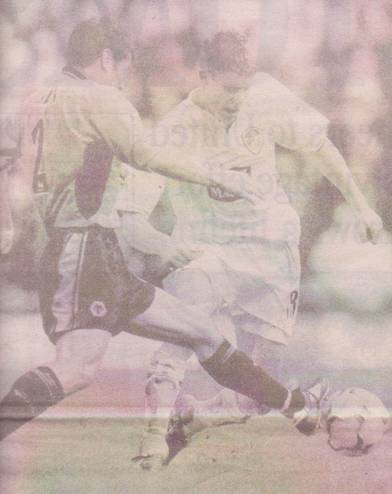 Milner looked like a player oozing confidence and it was almost cruel watching him rip Denis Irwin to shreds. 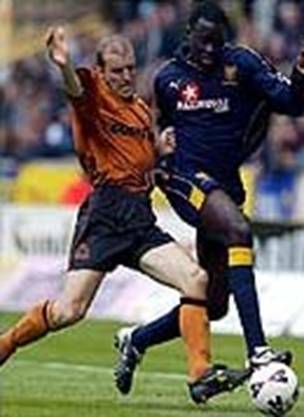 His pace and movement was too much for the veteran and the watching Sven Goran Eriksson will have learned a thing or two about the talent below senior level. The England boss also left with a favourable impression of Alan Smith. 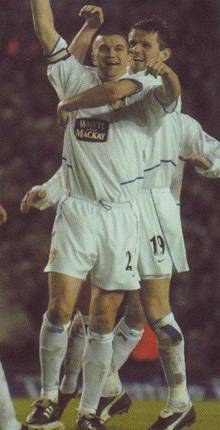 Playing alongside Mark Viduka brought the best out in him and the pair linked up superbly. 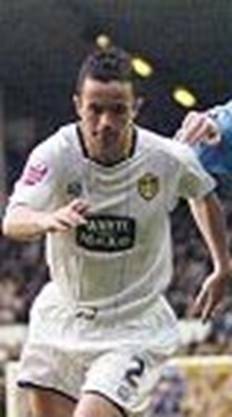 It was Alan Smith who started the rout when he forced the ball home from close range after Steve Caldwell had nodded on a Jermaine Pennant corner. It was United’s first EPL goal on home soil since December and the relief was evident. 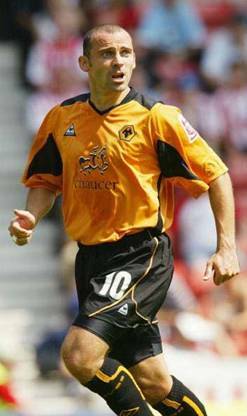 Wolves levelled soon afterwards when loan Viorel Ganea picked his spot from twenty-five yards and could have been the cue for nerves to take over. 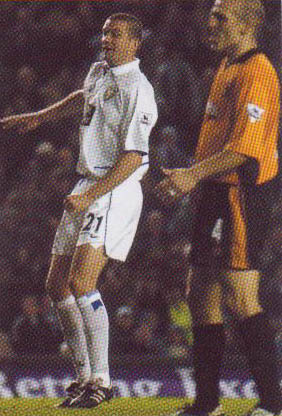 Spaces developed all over the park and either side could have taken advantage of them as the atmosphere at Elland Road hotted up. 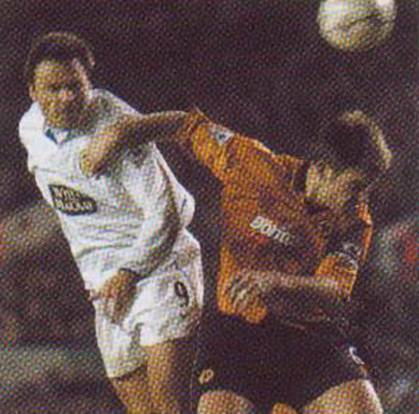 But it was Leeds who seized the advantage before half-time. 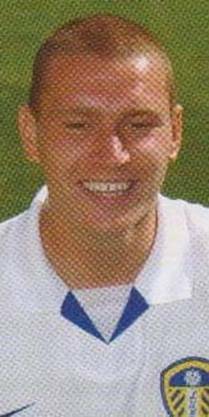 Alan Smith flicked on a Didier Domi free-kick and, with Steve Caldwell making a nuisance of himself, Paul Jones could only parry the ball to Dominic Matteo who fired home with the aid of a deflection. 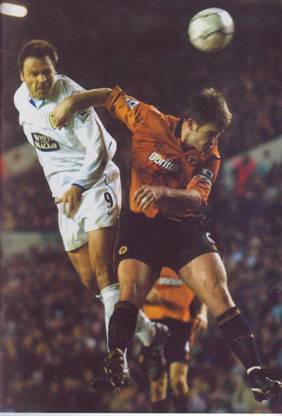 That was it, the fear factor of playing at home was banished, hopefully for good, and Leeds dominated the game. 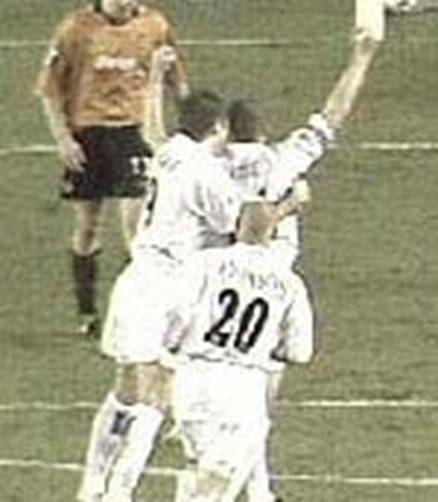 It was rare in that season, but after an hour Leeds were in total control of the contest and Wolves, who had the worst away record in England, looked a bedraggled bunch. 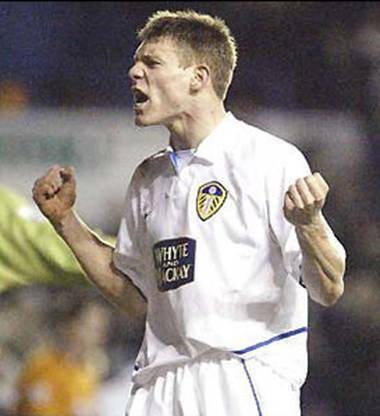 James Milner soon made it 3-1 when he knocked a powerful Alan Smith cross home and the youngster went on to humiliate Irwin to such an extent that the Irishman couldn’t wait to exit at the final whistle. 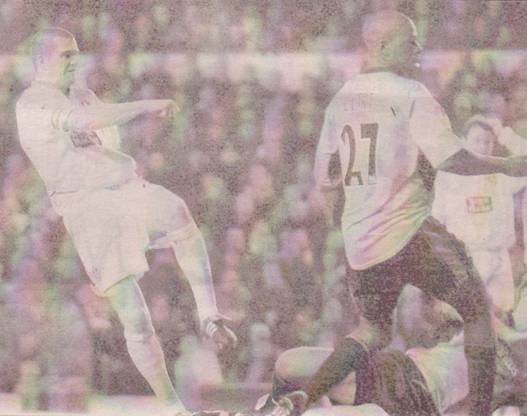 James Milner was clattered from pillar to post as the visitors went for a physical approach and United should have had a penalty when Paul Butler hauled down Alan Smith. 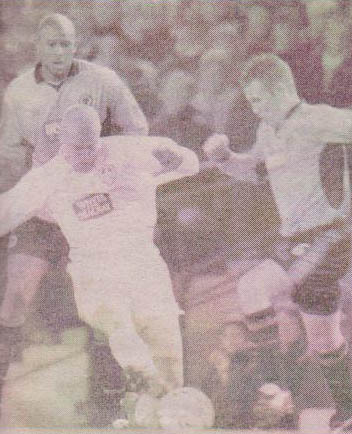 The crowd lapped it up and, with spectators all around the crowd on their feet singing, the atmosphere sent a tingle down the spine and was a timely reminder of just how good should have been at the club. 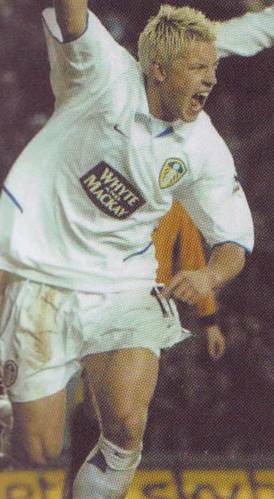 The only thing that was missing was a goal from Mark Viduka. He headed over twice after great work from Milner, but just couldn’t find the strike that his performance deserved. That changed, however, as the clock ticked past ninety minutes. 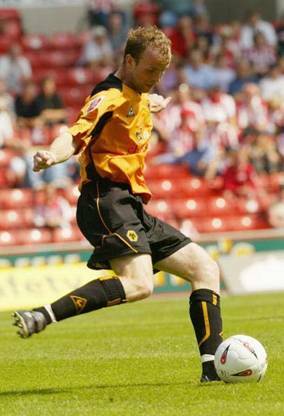 The Aussie showed a delightful touch to turn Jody Craddock and delivered a lethal finish to make it 4-1. It was a magnificent goal to finish off a memorable evening and was a fitting reward for a group of supporters who have put up with everything and more over the previous few months. The celebrations went on long into the night and few would have denied anyone the pleasure of toasting the win. However, the standards had now been set and it was vital that United should maintain the same level of performance at home, at least, if they were to survive in the EPL. On the evidence of this game they had proved they were good enough, then they had to carry it forward and prove it again. 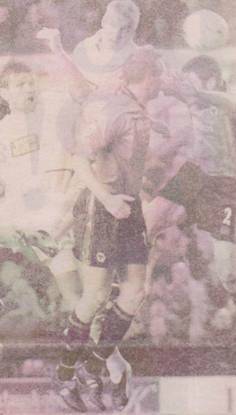 The line between turning points and false dawns is finely drawn in football. 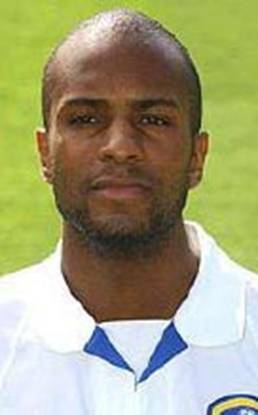 The supporters who spilled out of Elland Road after Leeds United's hammering of Wolves on February 10 2004 believed to a man that they had witnessed the former. 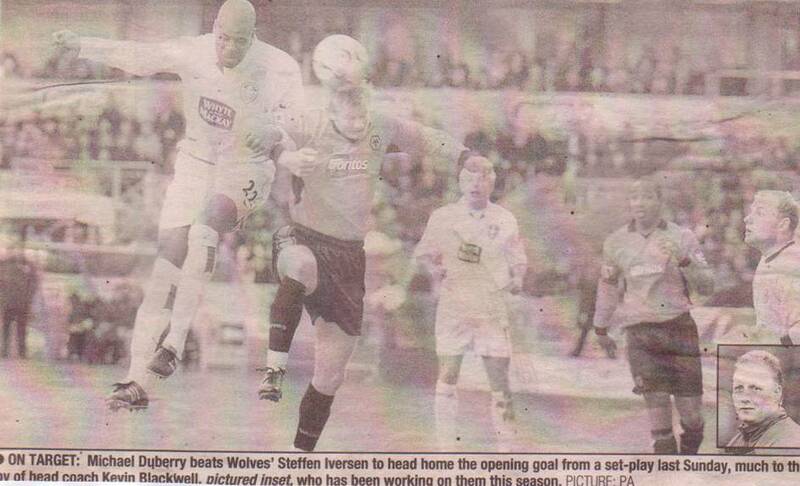 Three months later the Premiership table revealed the 4-1 victory had in fact been a case of the latter. After a torrid run of results and performances, United's most impressive success of the season lifted them off the foot of the division and to within three points of safety. 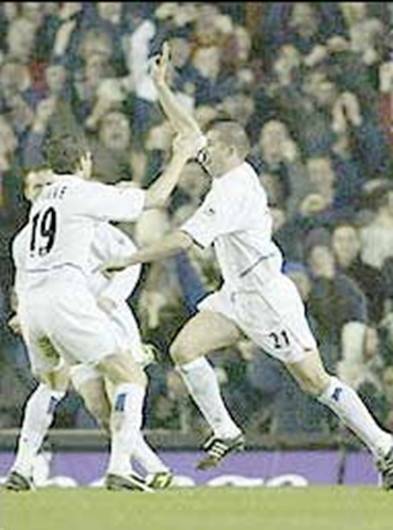 To all concerned at Elland Road, it seemed as if a corner had been turned and in spectacularly impressive style. 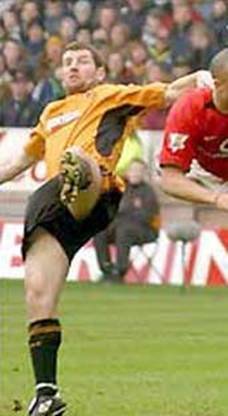 Wolves were run ragged by a scintillating display which saw United produce nineteen shots on goal and four goals, their biggest haul of the term. 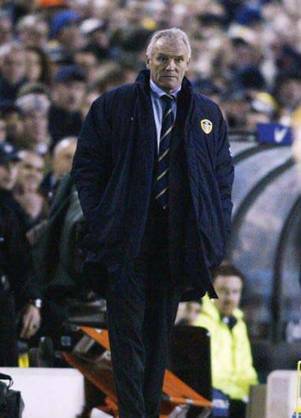 Dave Jones' players had encountered deep trouble themselves, and later dropped into the first division, and Leeds, under the control of Eddie Gray, came good on a night when the consequences of defeat were unthinkable. 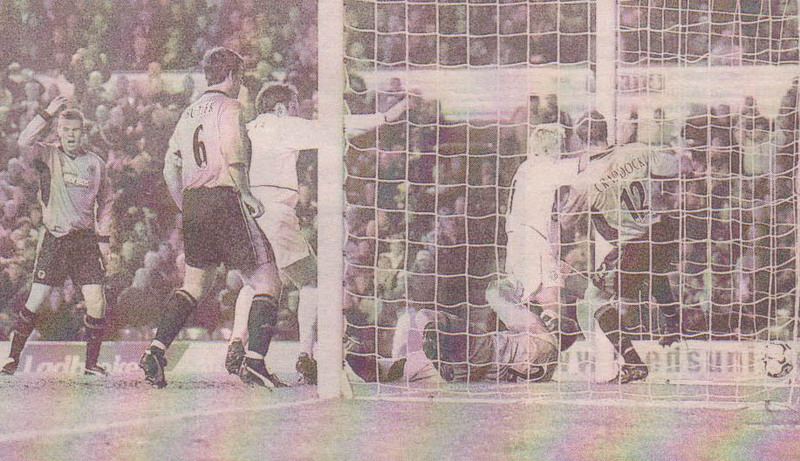 As it turned out, the result was rendered meaningless when United suffered relegation at the end of April, but the 4-1 win proved a final show of defiance before the club disappeared into the night. Gray's side had been beaten 2-0 by Aston Villa three days earlier, but the manner of their committed display at Villa Park convinced United's boss to keep faith with his line-up. 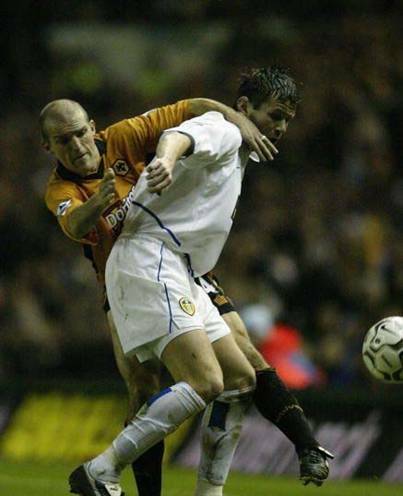 The decision was immediately rewarded as Leeds rose to the demanding situation and ended a run of seven straight defeats, stretching back to their 3-1 defeat at Wolves on December 28. 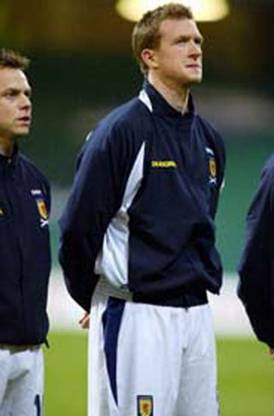 With England coach Sven Goran Eriksson looking on, Alan Smith started the rout with a striker's goal in the fourteenth minute. 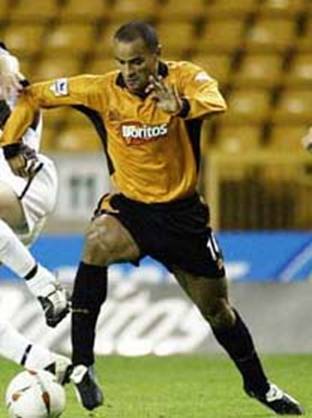 The forward was well-placed to find the net after Steve Caldwell flicked on Jermaine Pennant's corner, and the defensive frailty shown by Wolves was replicated on numerous occasions throughout the game. 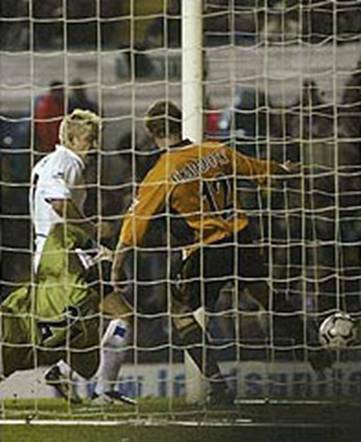 Alan Smith's goal was United's first on home soil since December and relief swept through Elland Road, but the positivity faded quickly when Viorel Ganea found the net from twenty-five yards to bring the Wanderers level. 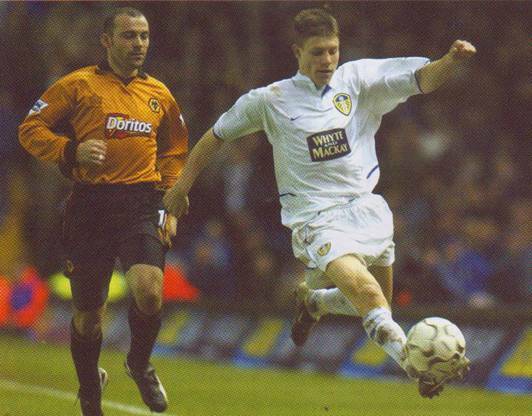 Nerves momentarily got the better of Leeds, but the tension and their discomfort was permanently relieved by a strike from Dominic Matteo four minutes before the interval. 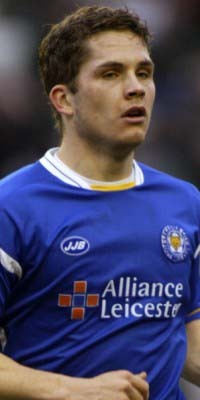 Alan Smith was involved again, nudging on Didier Domi's free-kick and allowing Dominic Matteo to score on the rebound after goalkeeper Paul Jones had parried the ball. 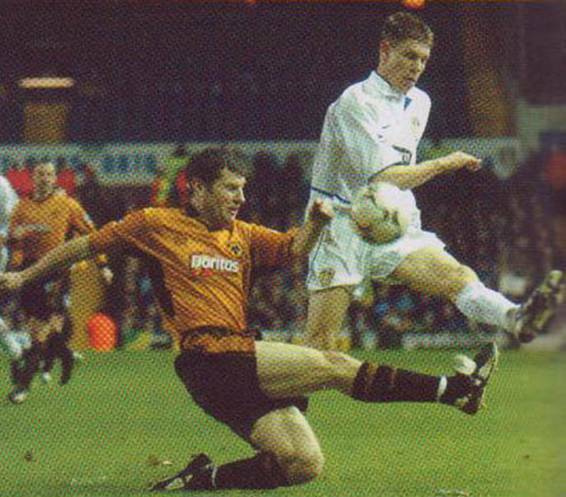 Wolves' away record, the worst in the country prior to the visit to Elland Road, had always pointed to a home win, and James Milner effectively sealed United's success when he converted Alan Smith's cross shortly after the hour mark. 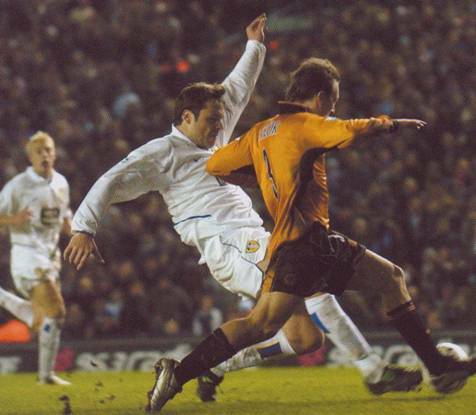 Milner's goal left Smith's strike partner Mark Viduka to wrap up the result with the strike of the game in the ninetieth minute, turning Jody Craddock with a wonderful touch before driving a clinical finish past Jones. "I'm delighted we're off the bottom, but I hope this is only the start," said Gray. Unfortunately for United and their manager, they were later shown to have jumped the gun.